Excellent service, customer satisfactions and exceptional value are our main priority. We provide beauty services for men & women. Our services include manicure, pedicure, facials and waxing. 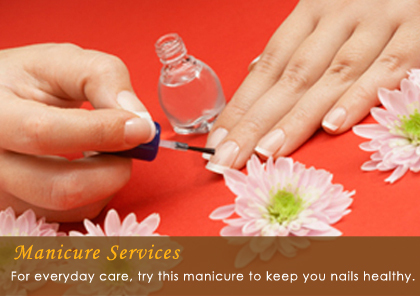 We offer an extensive choice of services from manicures to facials surrounded by comfortable and relaxing environment. Our staff members are well trained with many years of experience in serving a variety of clients with different needs. We are here to serve your every need and look forward to make your experience a pleasurable one.